TNG RFID is a contactless toll payment system which is aimed to replace the current infrared based SmartTAG. 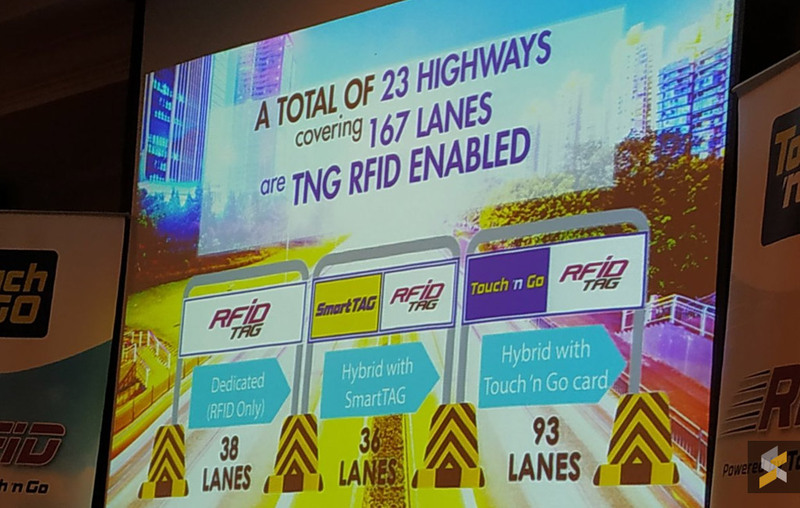 At the moment, they have over 100,000 TNG RFID Pilot testers and the RFID payment system is enabled at 23 highways covering a total of 167 lanes. Interestingly, 56% of these lanes are actually shared with physical Touch ‘n Go card users. This means you’ll have to queue up with other vehicles that have to come to a complete stop to pay with their physical cards. This drastically slows down the entire RFID experience, so why does it have to be this way? During a small media gathering, Touch ‘n Go has shared a couple of updates for its RFID system. Out of 167 RFID enabled lanes, 38 of them are fully dedicated for RFID while 36 lanes are shared with SmartTAG. Meanwhile, 93 RFID enabled lanes are shared with existing Touch ‘n Go card lanes. When we asked Touch ‘n Go about the placement for its RFID enabled lanes, we are told that it depends on the highway operator. 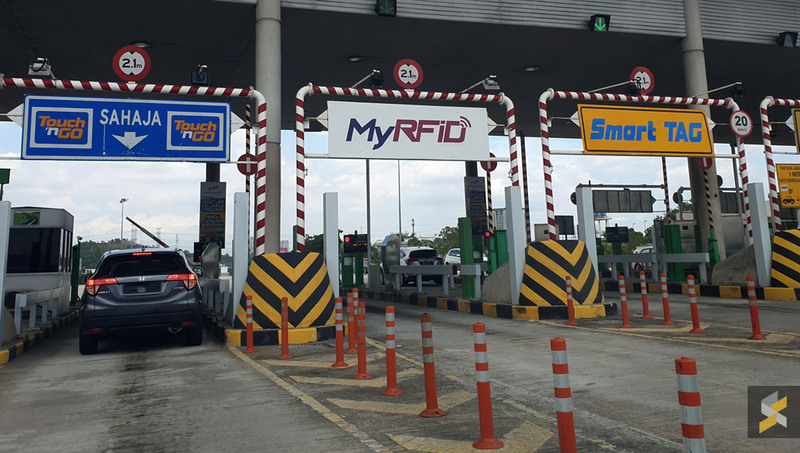 On some highways, they were able to allocate a dedicated RFID lane which is ideal for all users. However, some highway operators are having space constraint and the RFID system is implemented on existing SmartTAG or Touch ‘n Go lanes. The people at Touch ‘n Go have advised operators on the best placement possible but the final decision lies with the highway operator. One of the biggest complaints among the Touch ‘n Go RFID users is the placement of RFID scanners in Touch ‘n Go lanes. It makes more sense to place the RFID system in SmartTAG lanes instead as all vehicles can drive through slowly without stopping. Perhaps, one way to send a message across is by dropping your feedback to these operators or reach out to your local MP. 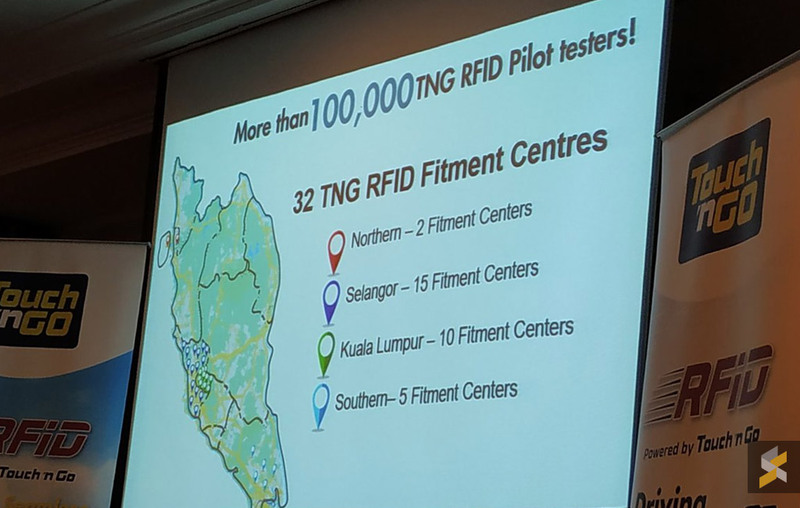 For those who have yet to sign up for the RFID Pilot Program, Touch ‘n Go has also increased the number of RFID fitment centres around Peninsular Malaysia. There are 25 in the Klang Valley, 2 in the northern region and 5 in the southern region. The RFID sticker is usually installed on the headlamp and alternatively, it could be placed on the windshield from the inside if your car isn’t tinted. At the moment, RFID is still in its early stage and we have yet to see its full potential due to our legacy highway toll system. 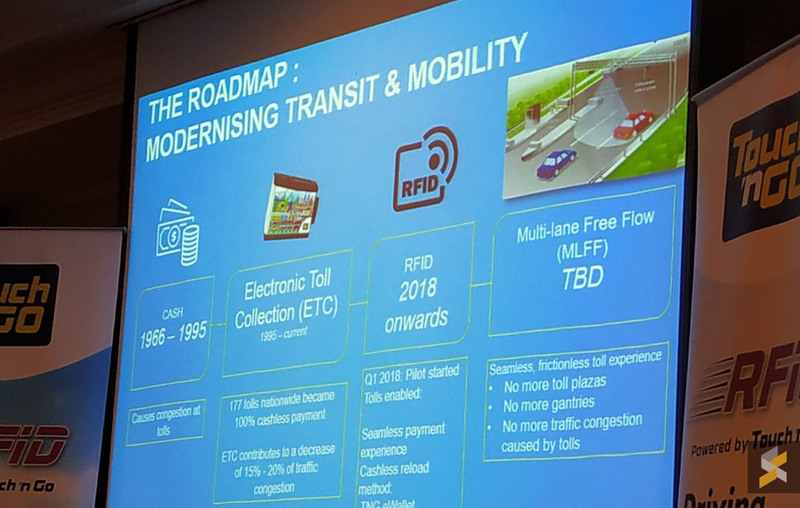 Touch ‘n Go’s RFID system is designed to cater for a multi-lane free flow tolling system similar to Singapore’s ERP and Australia’s e-TAG system. The RFID scanners themselves are actually capable of picking up RFID tags across three lanes but Touch ‘n Go has to limit its range so that it won’t accidentally pick up tags from other vehicles on other lanes. For a barrier-free tolling system, we will need to enforce RFID as the sole payment system. On top of that, highway operators will need to implement a plate number recognition system so that those without RFID or with insufficient balances can be billed accordingly. For this to happen, Touch ‘n Go can’t do it alone. We need highway operators, highway authorities and policy makers to be involved in making this possible. If you haven’t seen it yet, do check out our first impressions of the RFID system.